Well, today was the big day. 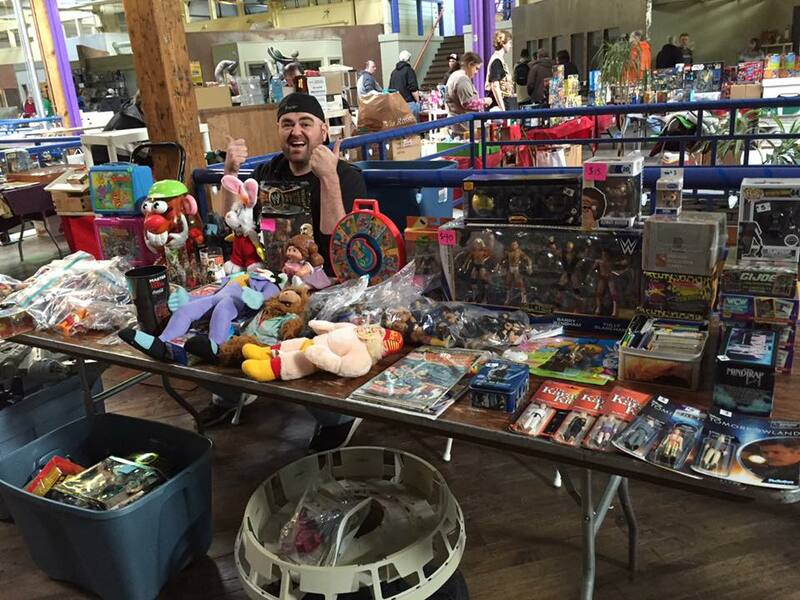 Another day that I chose to vend at the local toy show, "Village Gate Toy Show". I've written a few times before about my experiences about it, but really though, it's a toy show you HAVE to attend. It's not big and fancy like a Wizard World or even a minor league comic con. It's a down and dirty toy show where every vendor has the same exact spot, selling the same exact products, willing to negotiate so they don't have to lug a MIB Castle Greyskull back to their car. I'm a firm believer that's one of the charms of this show. This show has been running strong way before I even moved to Rochester. It's pretty legendary amongst those in the region. Run by the owner of local toy store, Yankee Clipper House of Cards, this show takes over both floors of the rather compact sized Village Gate shopping center, a local independent business-filled shopping plaza. And while it may be modest on most days, today...forget it. It's like two vendor rooms at a Monster Mania show combined, with just as much traffic. Less B.O. but still, the amount of time you spend on your feet will eventually make you wish you had a hotel room just so you can nap halfway and then come back refreshed. Hey, there's me! I had a lot of stuff I wanted gone. Like a lot. Like A LOT A LOT. See that Terrordrome on the floor? That was my biggest goal. If I could sell that, I'd be happy. It's my favorite playset of all time, but it's just such a hassle to keep in a two bedroom apartment. But, lo and behold, someone wanted it. So it's gone. Which is great. I have money and more room in my office. 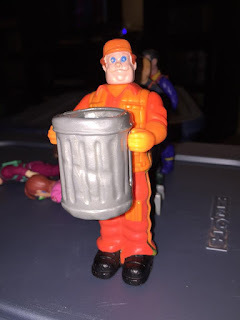 I've been picking up pieces of the Real Ghostbusters collection since August when I found the Ghostbusters House for 6 dollars and I've picked up plenty of monsters and even an Ecto 1, but I've neglected to pick up the main Ghostbusters themselves. Thankfully, I already have an Egon, so picking these guys up for 12 dollars total was a no-brainer. And I can finally lug the Firehouse into my office and have the greatest setup known to man. 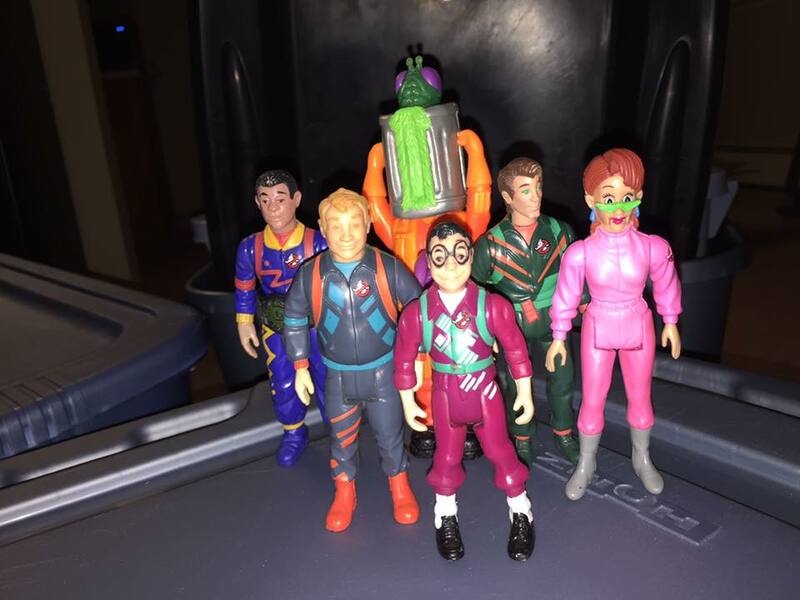 With the exception of Janine, the main guys are from the Power Pack Heroes set which replaced the famed proton packs with gimmicky GI Joe-like power packs. The designs were just so cool, I have to imagine that I'm not the only one who loves these late 80's/early 90's colors and schemes. Sure, I could've picked up the originals, but these guys had style and flavah! Also, I just love how they made Louis Tully look extra nerdy. I don't even think Saved By The Bell made their nerds look that pathetic. The guy you see behind the group is known as "Terror Trash" from the Haunted Humans line. I was able to do a figure-for-figure trade with a nearby vendor for this gem! I bet his real name is "George" but his friends call him "Georgie". YOR-JEE: MESSENGER OF DEATH, SERVER OF CTHULU. No joke, this was one of my favorites as a kid.I went over my friend, the legendary Danny Thrift, and he had EVERY GHOSTBUSTER TOY. House, Car, vehicles, figures. Everything. For some reason this guy stood out when we'd play. I always chose him even if I was playing with the Ghostbusters themselves. I don't know what it was, but I knew I had to have him. And I never did. But I never forgot how awesome he was, so it made perfect sense to add him to my growing collection. 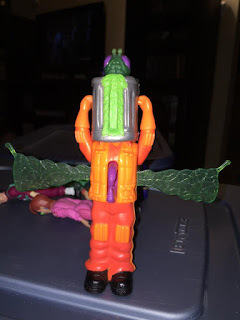 So, those may be the only figures I got but I still continued to make connections. Met some new people to trade with, found some interested parties in a few other things that I didn't bring, and got some more advice from the promoter, Tom. All in all, it was a great show and a great time! The next show will be on Sunday December 4th. Which is good, because flea marketing season is coming and I'm probably gonna have a lot more stuff to sell. So come by, buy stuff, and help me find more Ghostbusters! If I lived in Rochester or anywhere near there, I would definitely stop by and check this out. It looks like a great time! Also, I agree ... yard sale and flea market season is upon us, who knows what treasures will await there! Oh, nice! This reminds me a bit of ToyCon NJ. Maybe if I'm not selling that weekend and the weather holds I'll trek up to the one in December! Good to see you on Sunday. This is a great show. So much variety, so much to see. I was definitely overstimulated. My daughter found some real fun stuff she was jazzed about. What is important Here, is that it can fit any reasonable price range. Of course, you will be thinking about your kid's happiness, and will buy accordingly.